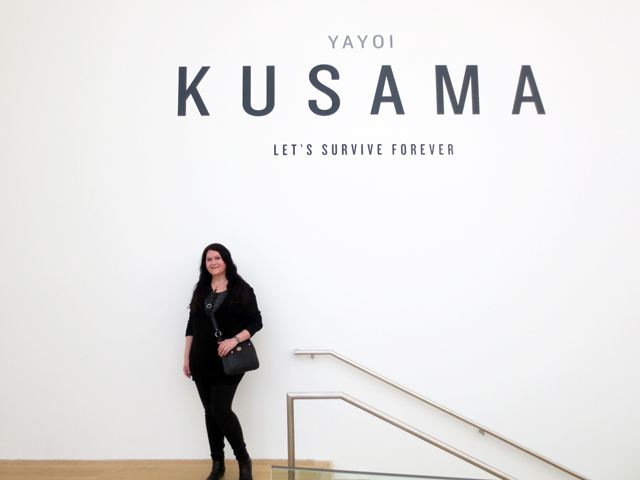 As described by AGO CEO Stephan Yost -- following last year's exhibition, he traveled to the Kusama studios in New York to discuss a possible acquisition of a piece of her work. 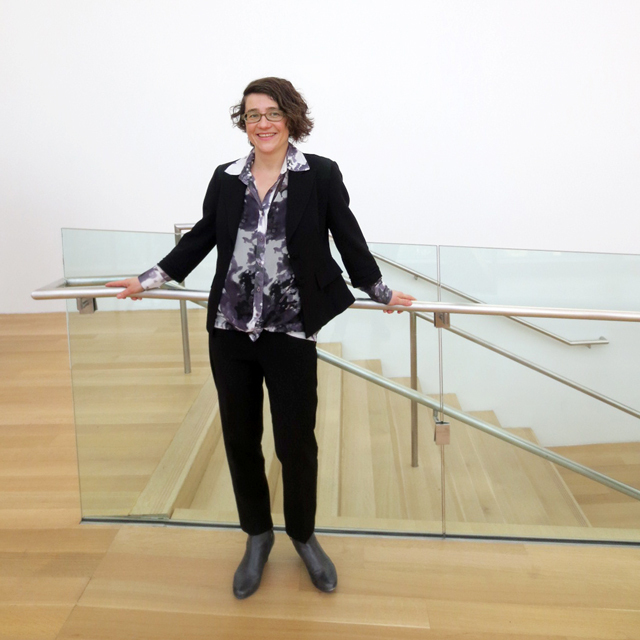 She was very pleased with the response Toronto had given to the show, and was pleased to have one of her works permanently displayed in our gallery. 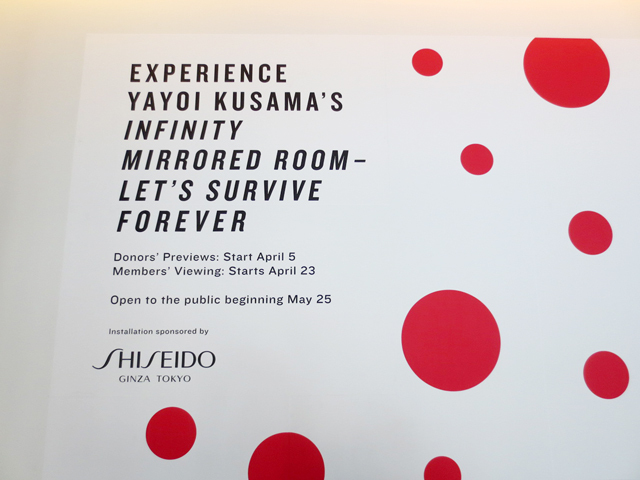 As a result, the AGO has become one of fewer than twenty galleries in the world to have its own Yayoi Kusama Infinity Mirrored Room. 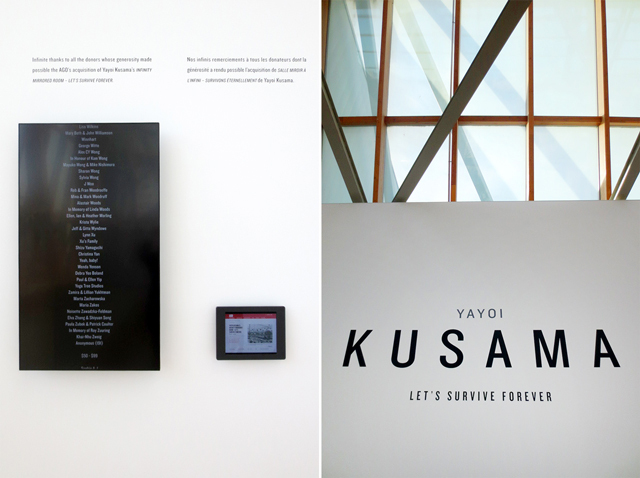 "Let's Survive Forever" was created in 2017. 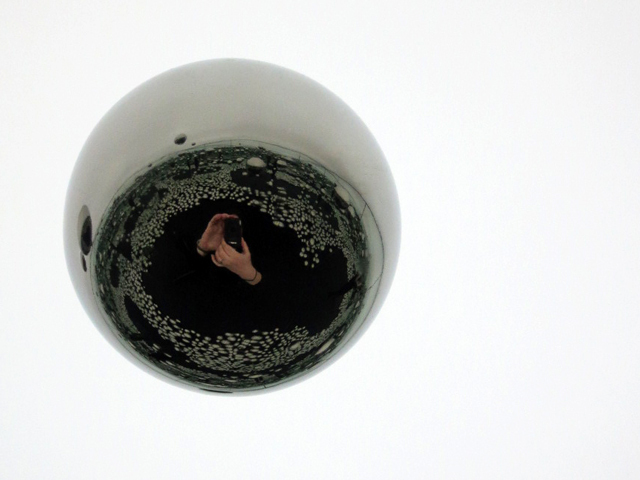 It features mirrored walls, stainless steel spheres and a column with various hole into which viewers can peep. 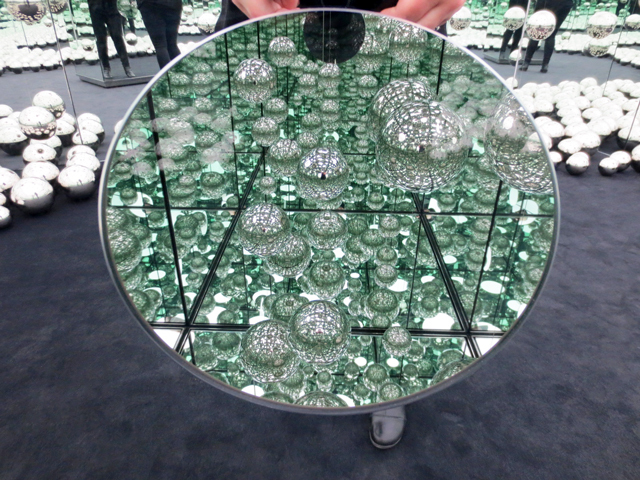 The piece was purchased partially with money raised via a crowdfunding campaign, with 4,700 people contributing. The remaining amount came from the David Yuile & Mary Elizabeth Hodgson fund, generously donated by with is specific request that it be used for the acquisition of modern art. The stipulations of the fund allowed for the money to be used to buy one big piece if the opportunity ever arose, and so it did. 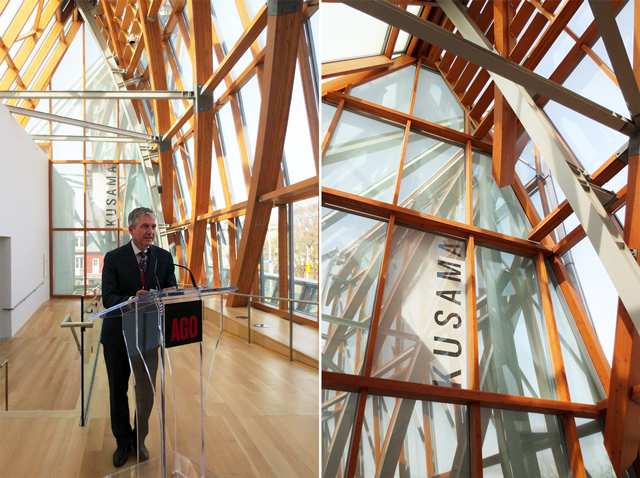 Additionally, the installation is sponsored by the Japanese company Shiseido. 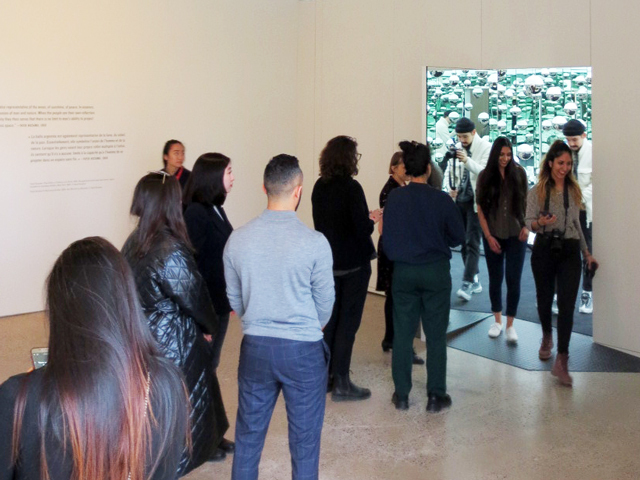 Donors to the Crowdfunding Campaign are invited to see it first, followed by Members' viewings. 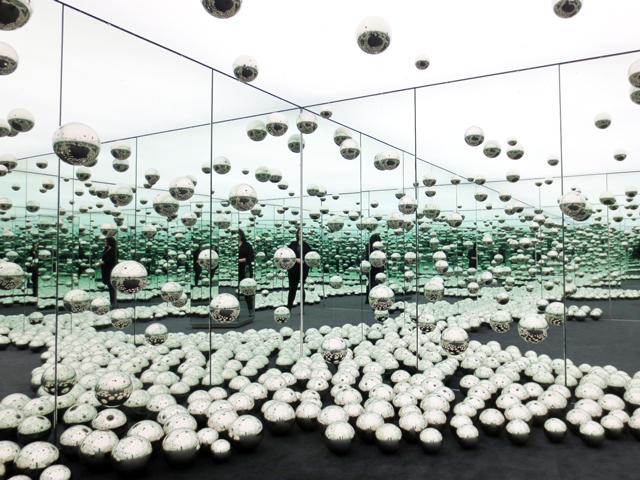 Then, beginning on May 23rd, 2019, any visitor to the gallery will have a chance to enter this mind-boggling environment, with regular admission. 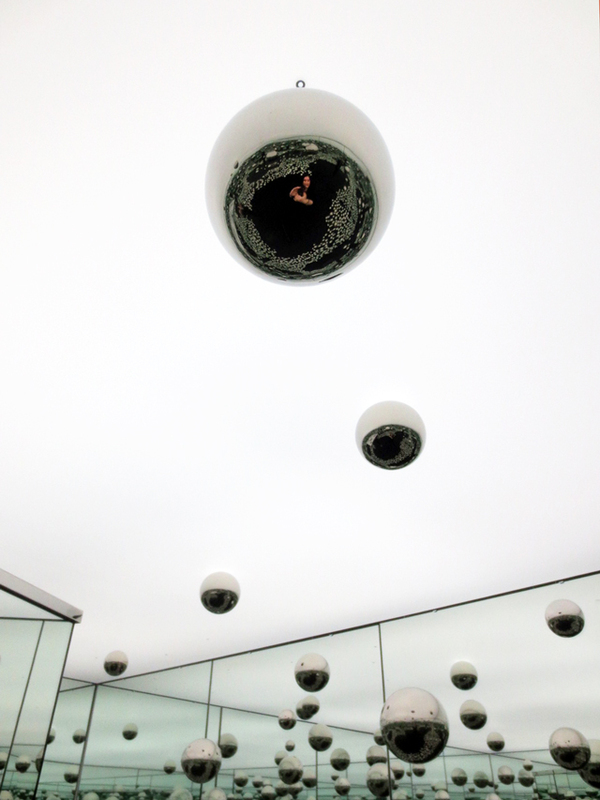 People will be allowed into the room in groups of up to four people, for one minute at a time. 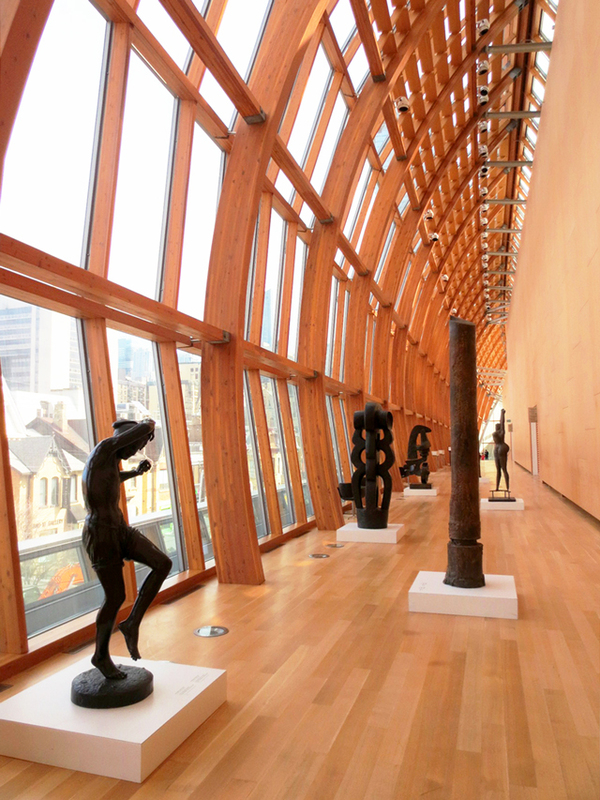 Line-ups are expected to be long for a while, however, I can envision a point in the future, when one will be able to walk up and enter this stunning space, as a normal part of any visit to our wonderful art gallery. I'm not sure of the exact dimensions of the room, but estimate that it's about 16 x 16 feet. 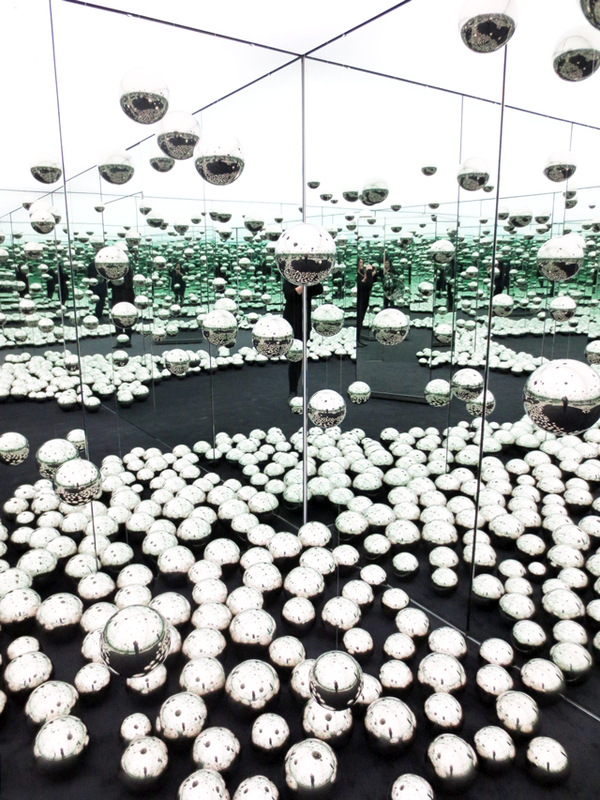 Once you enter and the door is closed behind you, you become completely immersed within the space which appears to be never-ending. 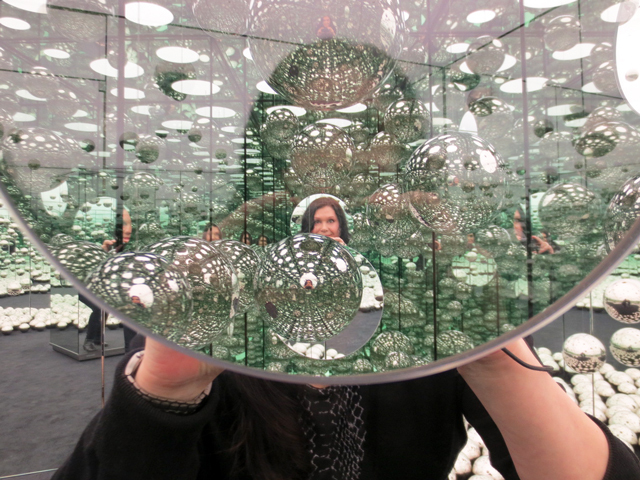 There are thousands of images of you, reflected from all angles. It's an experience that you'll never forget. 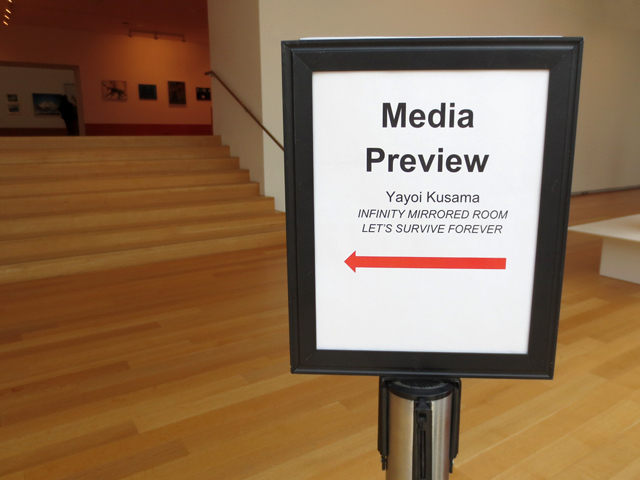 Please click here for the AGO's site and details about seeing "Let's Survive Forever". 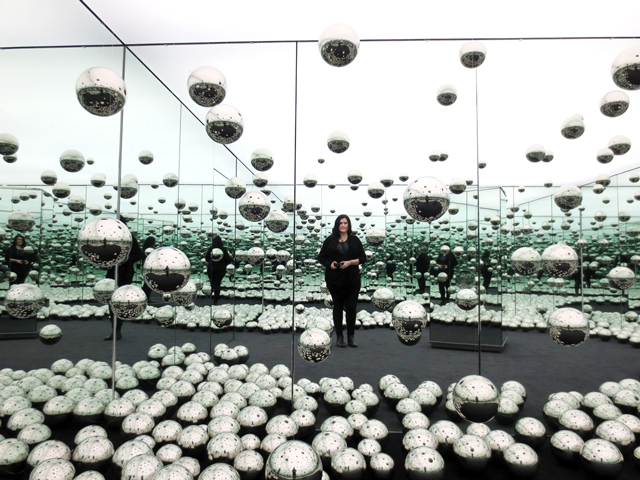 If you'd like to learn more about Yayoi Kusama before your visit, there is an excellent new documentary about the artist, including plenty of footage of her now, and throughout the years. 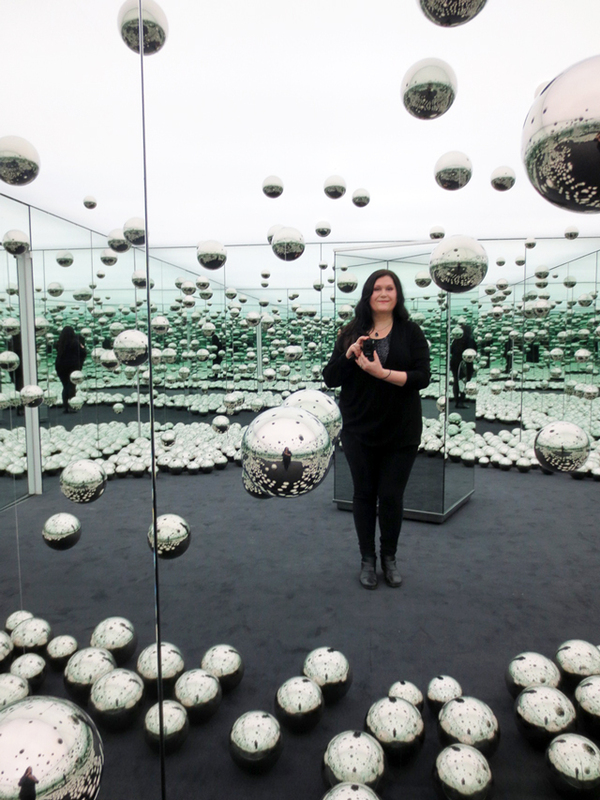 It's called "Kusama Infinity" and it's streaming on Kanopy, the Toronto Library's on-demand film platform, that is free to use for anyone with a Toronto Library card. Oooh, your photos are amazing!! I loved the first time around with the exhibit, and I can’t wait to see the new permanent one!! Thank you, Julie. Lucky you that you saw the big show. One of life’s regrets for me, art-wise, is that I didn’t get to it. You’ll love the new exhibit! It’s neat that we’ll be able to see it whenever we want.